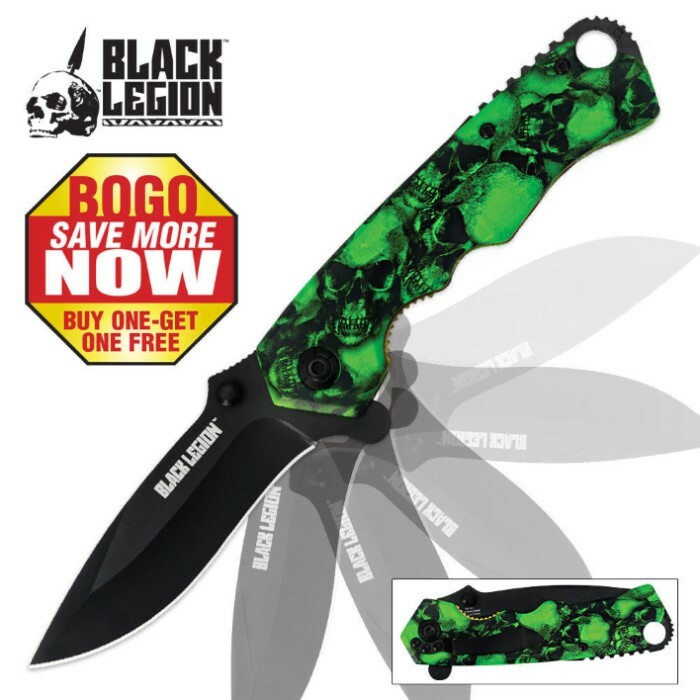 Everyone will be talking about this Skull Mayhem knife from Black Legion! The solid stainless steel blade is powered by an assisted-opening mechanism that will leave you astonished by its speed. The skull mayhem design on the aluminum handle will cause a stir, too. Clip it to your pocket with the stainless pocket clip. You will receive two of these skull mayhem assisted-opening knives wtih this order. BV161. This knife is amazing! It has a very nice weight to it. The only dilemma is the design. If this knife was matte black it would be perfect! Not cheap at all and very sturdy.